Photos: top left, St Leonard’s Church, Eynsham, Oxfordshire, where some of Samantha Bond’s ancestors were married, baptised and are buried (photo by Nigel Cox, licensed for reuse under a Creative Commons Licence); top right, Samantha Bond as Miss Moneypenny; Acre End Street, Eynsham, where Samantha’s ancestor William Bond was living at the time of the 1851 census; next row: parents Philip and Pat Bond; bottom, Samantha’s family tree back to eight generations in the male line (clicking on the image should enlarge it). ONE of the great pleasures of genealogical research is delving into the family history of someone I respect and admire and count among my favourites. In this case it’s the gorgeous Samantha Bond, a beautiful woman and one of Britain’s most talented actresses. She’s done a million things on stage and screen, but I suppose most people outside the UK will know her best as Miss Moneypenny, M’s secretary in the Bond films that starred Pierce Brosnan. She appeared in the role in GoldenEye (1995), Tomorrow Never Dies (1997), The World Is Not Enough (1999) and Die Another Day (2002). Her career has taken in the Royal Shakespeare Company and many theatre roles, as well as umpteen television dramas and sit-coms. But what are her ancestral roots? In researching her direct male line ancestry I discovered that her forebears can be traced principally to two places in England, one in the county of Oxfordshire and another farther north in Staffordshire. Samantha also has some Welsh ancestry via her paternal grandmother, and she discovered in a BBC Wales television programme in 2009 that a great great uncle was killed in one of Britain’s worst-ever coal mining disasters in 1894. She was born Samantha Jane Bond on 27 November 1961 in Kensington, London1, the daughter of an actor and an actress who became a well-known television producer. She has an older brother who is a journalist and a younger sister who is also an actress. Samantha’s father is Philip G W Bond, who was born at Burton Upon Trent, Staffordshire on 1 November 19342. 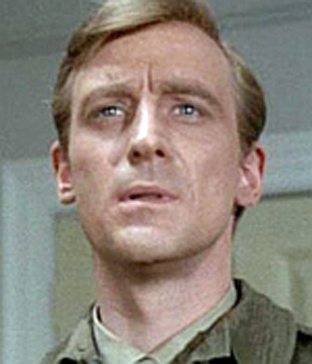 He too is an actor who appeared in many drama series in the 1960s and 1970s, including The Saint (1963), Doctor Who (1964), Redcap (1965), No Hiding Place (1965), Armchair Theatre (1966), Man in a Suitcase (1967–68), The Hound of the Baskervilles (1968), The Champions (1968), The Avengers (1969), Doomwatch (1971) and Jason King (1971). But he was probably best known for his role as Albert Frazer in the BBC’s nautical drama, The Onedin Line, in which he appeared for 24 episodes. Philip’s wife, Samantha’s mother, was Patricia Mary Trotter, who was born in Nottingham on 26 July 1926, so she was eight years her husband’s senior3. She was an actress also but achieved greater prominence as a director of television dramas, especially ITV’s police series The Bill. She died from cancer in 2000. Philip Bond’s parents were Matthew William Bond and Blodwen John, who were married in Neath Registration District in 19244. Matthew Bond wasn’t a Welshman but had been born at Burton Upon Trent in 18995. Why he married in South Wales I haven’t discovered, but it seems probable he went there for work. However, the couple must have moved back to Burton Upon Trent by 1929 because their first son, Ivor, was born there in that year6, followed by Philip and his twin sister Shirley in 19347. Matthew Bond’s father was also called Matthew William Bond and he was married at Burton Upon Trent in 1898 to Amelia Potts8. In the 1901 census the couple were living at 35 West Street, Burton, with Matthew, aged 25 and Amelia 279. Matthew’s occupation was given as a coach builder. With them was Matthew W Bond jr, then aged two. Amelia and Matthew jr were both shown as having been born at Burton, Staffs, but Matthew sr’s birth place was given as Southmoor, Berkshire. Southmoor is a village to the west of Abingdon. Living immediately next door to Matthew and Amelia in 1901, at 37 and 39 West Street, Burton, were Matthew sr’s parents, Frederick and Rhoda Bond10. Frederick, aged 49, was a coach builder also and his birth place was given as Eynsham, Oxfordshire. Rhoda was 45, born at Hinton Waldrist, Berkshire. They had living with them 10 other children, five sons and five daughters aged between 22 and four. Three of the sons were coach builders too. As mentioned above, the parents of Matthew William Bond sr – and the great great grandparents of Samantha Bond – were Frederick Bond and his wife, Rhoda, nee Dobson. They were married in 1873 in the registration district of Faringdon, Berkshire11. The marriage was probably at Hinton Waldrist, near Faringdon, because that’s where Rhoda was born about 1855. I mentioned above the couple’s entry in the 1901 census. In 1881 they were in West Street, Burton Upon Trent12, probably at the same address where they were in 1901 but in the 1881 census no street numbers were given. Frederick was then 29, a joiner and wheelwright, while Rhoda was 24. They had three sons, Matthew 5, F James 2 and Wilfred D, 8 months. In the census of 1891 Frederick and Rhoda were at 36 West Street, Burton, and their family had grown to five sons and three daughters, including the eldest Matthew W who was 1513. In the 1911 census Frederick and Rhoda were at 36 All Saints Road, Burton Upon Trent, with five of their children still at home, aged from 27 to 1415. I discovered that Frederick died towards the end of 1912 at Burton15, aged 60. The birth place of Frederick Bond being given consistently in every census as Eynsham, Oxfordshire, it appeared that this may have been the original home of the Bond family – and so it proved. They were at Eynsham for at least 120 years, the earliest record I could find placing them there in about 1754. 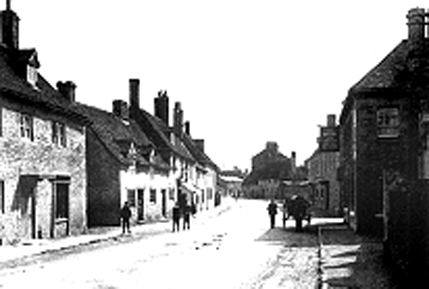 It was the move of Frederick Bond, Samantha Bond’s great great grandfather, north to Burton Upon Trent some time in the 1870s that took them away from Eynsham. Eynsham – pronounced Ensham, though the modern spelling has a “y” in the place name – is a large village five miles north-west of Oxford and midway between Oxford and Witney. It was once the site of a large mediaeval abbey which was founded in 1005 and destroyed under the dissolution of the monasteries in the reign of Henry VIII. The stones from the abbey ruins were subsequently used to build a number of houses in the village. Eynsham was a centre of paper making, there being a paper mill in the village from 1682, and some of Samantha Bond’s earlier ancestors were paper workers. I learned from a local historian, Pamela Richards, that the decline of the paper-making industry at Eynsham may have prompted Frederick Bond’s move to Staffordshire to find work. I searched for Frederick Bond in the 1861 census and found him with his family living in Mill Street, Eynsham, one of six children aged between 10 and nine months, of Matthew and Jane Bond16. Matthew Bond was aged 38 and a paper maker, while his wife Jane was some five years older at 43. The children were: Ann 10, Frederick 9, Henry 8, Edward 5, Rose 2, and Arthur 9 months. The entire family were all shown as being born at Eynsham. Matthew and Jane Bond, who were the great great great grandparents of Samantha Bond, were married in 1847 at Witney Registration District, very probably at Eynsham, Jane’s maiden name being Barrett17. In the census of 1851 Matthew and Jane were then in Mill Street also18. In this entry Matthew was a brewer’s labourer and Jane a glove maker, glove-making being another important industry at Eynsham. I should mention that in the 1851 census the place name Eynsham was spelt fairly consistently as Ensham. However, there was either something odd about this entry – or possibly about the 1861 census – since in 1851 the disparity between their ages was again five years but the other way, Matthew being shown as 29 and Jane as 24! A further oddity was that shown with them was a daughter Ann, aged 10, who couldn’t possibly have been the same Ann who was shown in 1861 as also being 10. If the first Ann was 10 in 1851, then she would have been born a considerable number of years before the marriage – by no means impossible, of course, but it seems unlikely her mother Jane would have been only 14 at the time. However, family historians will know what I mean when I say that we are accustomed to census errors! Also living with Matthew and Jane in 1851 was a widow called Martha Barret, aged 65, who was in receipt of parish relief. She was undoubtedly Jane’s mother and Matthew’s mother-in-law. Living close by Matthew and Jane, in Acre End Street, Ensham, was a William Bond, aged 68, also a paper maker by occupation and a widower, born at Ensham19. I subsequently discovered that William was Matthew’s father who had been married to a Hannah Bond who died in 1843. We come now to the 1841 census, the first, with a very few rare exceptions, to give names and addresses. In this census relationships were not normally given and the ages of all adults aged 15 and over were marked down to the nearest lower multiple of five. However, not all enumerators followed their instructions to the letter. In 1841 I found Matthew Bond, aged 19, in Mill Street, Eynsham, a paper maker. Also in the household was a Hannah Bond, 54, very probably Matthew’s mother, and two other females, another Hannah aged 25 and Ann, 1220. To get the ancestry of Samantha Bond back before the beginning of civil registration in 1837 it was necessary to turn to the parish registers of St Leonard’s Church, Eynsham. Fortunately, extracts from these have been transcribed to the International Genealogical Index at the FamilySearch website of the Church of Jesus Christ of Latter-day Saints21. I was able to discover the birth and baptism of Matthew Bond, her great great great grandfather. Matthew was one of eight children born between 1811 and 1829, to William Bond and Hannah Sansom, who were married at St Leonard’s, Aynsham, in 1809. Matthew was the second son and sixth child of the marriage, born on 8 September 1822 and christened on 27 October the same year. William and Hannah Bond were Samanth’s great great great great grandparents. Interestingly, Matthew had an elder brother called James, christened on 18 July 1813. 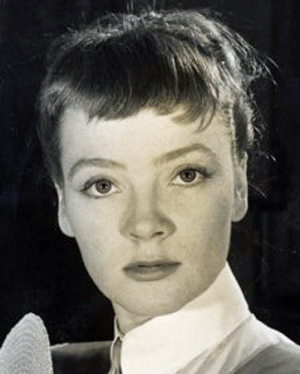 So I can genuinely write that Samantha Bond, aka Miss Moneypenny, really did have a distant 4-times great uncle who was called James Bond! I was able to tie the final link in the Bond ancestral chain with the kind assistance of Pamela Richards, the local historian I mentioned earlier. I found a marriage for a Mark Bond and Eleanor Crutch at Eynsham in 1779 but the FamilySearch website only revealed five children of this marriage – and William Bond was not among them. However, Pamela had a transcription copy of the St Leonard’s registers and this turned up the baptism of William Bond, the eldest child of Mark and Eleanor, on 9 May 1784. This tied in splendidly with William’s given age of 68 in the 1851 census. The baptismal record revealed that Mark Bond was a paper maker also. Finally, I found on the National Burial Index (Third Edition) CD 10 Bond burials at St Leonard’s, Eynsham. These included Eleanor in 1808, aged 50, who was probably Mark’s wife, and Mark Bond himself buried in 1826 at the age of 72, putting his birth as having taken place about 1754. And there was also Hannah, William’s wife, who was buried in 1843, aged 5622. I have left until last, because it was on a quite different line of Samanth Bond’s family but it deserves mention, a terrible tragedy that occurred in 1894. I referred earlier to Blodwen John, Samantha’s maternal grandmother, who was married in Glamorgan in 1924 to her grandfather Matthew William Bond. I discovered Blodwen’s parents were George John and Sarah Howells, who married in 1889. Sarah had a brother called Lewis Howells, a miner, who was among 290 men and boys killed on 23 June 1894 in a massive explosion at the Albion Colliery, Cilfynydd, near Pontypridd, the second-worst disaster in the history of the South Wales coalfield23. Samantha talked about the family tragedy and how much learning about it upset her when she appeared on the BBC Wales programme, Coming Home, in 2000.